Braided fishing line has become very much popular choice among the anglers. It is ideal for both baitcasting and spinning reels. These fishing lines have so many advantages. But if you can't use it correctly, you may face many problems. So, when using this line, you must use the best braided fishing line to make your day successful. That means it is too much crucial to find the best one. Otherwise, you will not get the service that you are expecting from it. To help you out we will discuss 5 best braided fishing line here in this article so that you can choose one from the list. Here you will also get an ultimate buying guide which will help you choose the best one yourself. Before that let’s check our comparison table. 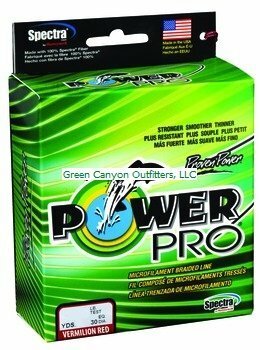 The Power Pro Braided Fishing Line is one of the best braided fishing lines that I have ever used. It is made of Spectra fiber, a high-tech polyethylene fiber. The fiber is made of Honeywell. It comes with the enhanced body technology which makes it round and smooth. And this feature has made the popular product among the users. The line can be found in some different cool colors like High-vis yellow, moss green, red etc. I recommend the moss green color. The line is extremely durable and can survive for year after year. 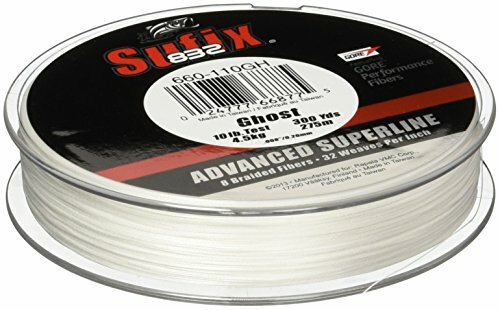 Suffix 832 Advanced Superline Braid is an advanced braided fishing line. The number 832 means it is made of 8 fibers with 32 weaves. The first 7 fivers are Dyneema that ensure strength and water repellency. The rest one fiver is of gore fiver that offers better resistance and fraying and also blends of over all castability. The Suffix 832 comes in different colors. L-vis green is mostly recommended from my experience. Though the price is a little bit high, you get what you paid for. The quality is excellent, and the line is incredibly smooth. 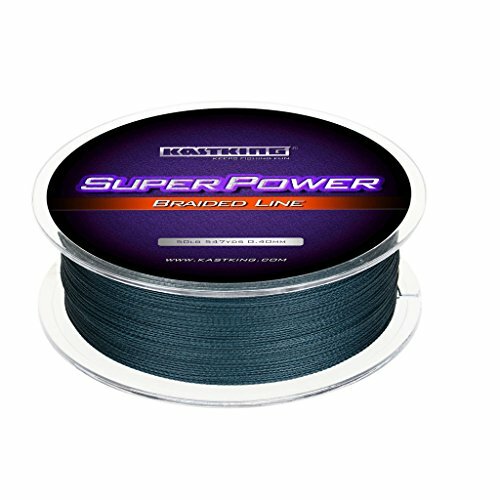 The Spiderwire Braided Stealth Superline is another excellent braided fishing line. The line is made of Dyneema polyethylene fibers. It has a coating of fluoropolymer which enhance the castability and the handling. This line is smooth and easy to cast. 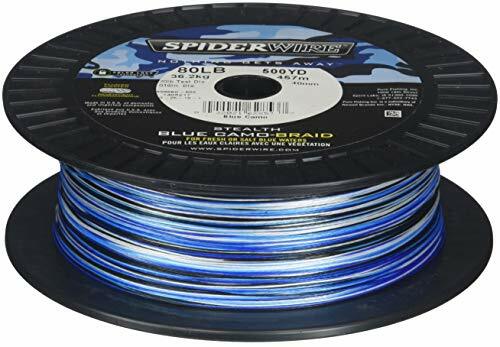 Extremely durable fishing line but the color is too much visible and over time the color fades out. Though it is not as good as The Power Pro and The Suffix 832, but overall it's also a good product. The Mega8 Super Braid from KastKing is a great value braided fishing line. The line is made of Ultra High Molecular Weight Polyethylene Fiber. The fiver is the world strongest fiber. The strength and the durability are unbelievable. The color is also strong and guarantees not to fade out. The color will remain same. Sensitivity is also noticeable. Overall it is a good one. And the 1000+ review from the users can’t be wrong. So can go for it if it fills all of your needs. 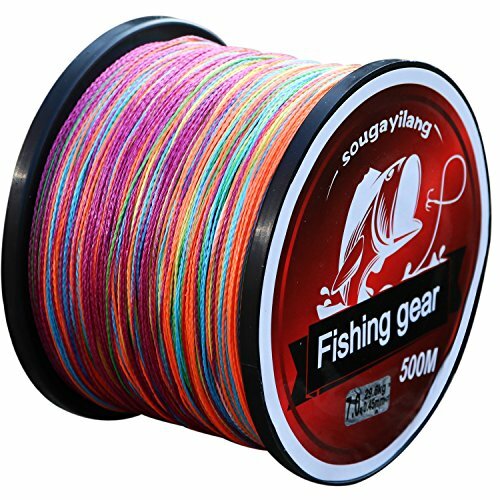 A cool fishing line with a thin diameter that helps you to cast accurately. It is sensitive and resistant to abrasion. It doesn’t stretch. The line comes with a money back guaranty so that you can remain worried free. The line come in many colors and the colors don’t fade. So you can choose your favorite color. Though some customer reported against the fishing line, but most of the reviews are positive. And the line is good enough for fishing. Braided fishing lines are very useful for any kind of fishing line. But choosing the best braided fishing line is too much important. If you fail to find and use the best one you will fail to make your day successful. So, what is the best braided fishing line and how to find it? Well, you have to do a lot of research on the internet to be sure that you are choosing the best one. But in your busy life, you may not get the time to do that research. In that case, this ultimate buying guide will make your day. You have to consider some important factor before proceeding to purchase and that you will win. Let’s talk about the factors. The strength of the line is too much important as you may catch different type and r455may catch different type and size fish. Your fish may be too much heavy. And your fishing line must have the strength of holding the weight of the fish. If your braided fishing line has not enough strength, you may fail to catch some heavy fish. Strength is related to the durability, and it also impacts how strong the line will be. But still, it is different from the strength. Durability is something about how long the braided fishing line will serve you. Also, the line is weather resistant or not is depended on the durability. So your fishing line must be durable enough if you want to have a successful fishing. Braided fishing lines are generally coated with an abrasion protection as PE fibers have less abrasion resistance than monofilament fibers. The coating makes the lines’ body harder and slimmer. Thin coat lines are preferable because they can cast farther easily and are much smoother to retrieve. Braided lines are basically made of 100 PE fibers. Also, some are made of mixed fabric like monofilament which is used to add tension to the lines and ease in handling. There are also braided fishing lines that are made of Polyethylene terephthalate (PET) fibers which are not expensive and they are stronger than nylon. I think you have read the whole article and you have done enough reading for today. Now it is time to make your choice and go out for catching some big fish. So, which one is the best braided fishing line? The answer is now known to you. However, you can choose one from the list without any doubt.